Yet of all the liberties afforded to prisoners, access to a library, and the materials and classes it provides, can be one of the most useful in preparing them for life outside of prison. The majority of inmates in America’s prisons have low levels of education and some can barely read, write, or use a computer. These are all skills that are necessary to make it on the outside without returning to a life of crime, and prison libraries offer inmates the chance to learn all of these things and more. 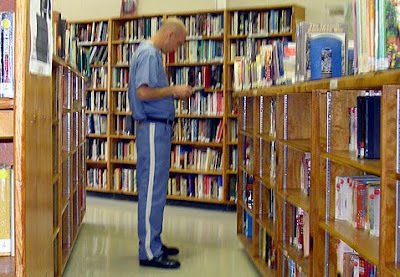 While prison libraries aren’t a panacea for what ails America’s prison system, they do offer some important benefits that are well worth considering. You can see Best Colleges Online’s “15 Amazing Effects of Prison Libraries” here. Books & education really can make a difference in the life of a prisoner! This is so true. Education is the key that unlocks the mind. For some inmates, this is their salvation. If the library provides education and saves a few of them, our world is better from it. E-Books: The Sky is Falling. Again.